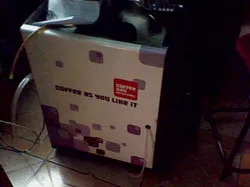 Established in the year 2008, we, “Chennai Degree Coffee(A Brand of Chennai Beverages)”, are a reputed distributor and supplier of Vending & Water Milk Boiler Machines, Beverages Sachets, Premix Powder and Paper Cups. All the products offered by us are designed and manufactured at the vendor's end as per the industry set quality parameters, making use of optimum-grade raw-material and cutting-edge technologies. Being an client-centric organization, we are providing these products in various sizes, design, specifications and custom-built models as par the detailed requirements of our clients. Apart from, this all the products to stringently examined to ensure their features like user friendly operation, efficiency, strong construction, dimensional accuracy, low power consumption and easy start up for which our range is widely demanded in the market. We have established a sound and robust infrastructure facility, to have streamlined execution of all the organization activities. 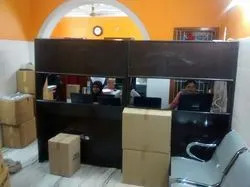 Our facility is segregated into various departments such as quality control, procuring unit, administrative unit, which is properly managed by our deft team of professionals who are appointed through varied recruitment tests. To meet the variegated requirements of our clients, our professionals maintain a good relationship with he vendors and have a good relationship with our clients to get their feedback and suggestions which benefits to improvise our offered product-line. Along with this, we have a quality controllers team, who stringently examine all the products on the basis of various quality parameters set by the industry to ensure their flawlessness before being dispatched in the market. For the convenience of our valued clients, we accept payments through varied easy modes and follow a fair and transparent business polices. Owing to our ethical business polices, client-centric organization, timely delivery of all the consignments, we have succeed in gaining the trusts of numerous number of clients. Under the valued guidance of our mentors, 'Mr. Sriraman', we have succeed to gratify the needs of patrons and stay ahead of our competitors. His vast industrial experience, business skills and deep knowledge of the industry, have enabled us to garner a huge clientele for ourselves.